J.H. 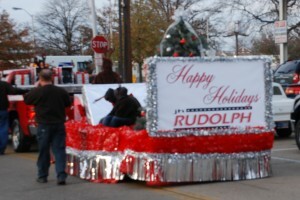 Rudolph & Co., Inc. entered their first parade float into the 22nd annual Downtown Evansville Holiday Parade on November 22. 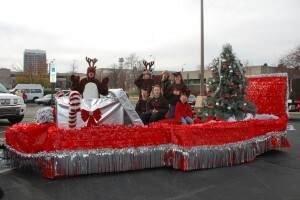 The float featured Rudolph the Red-Nosed Reindeer and 15 Reindeer helpers who passed out candy to hundreds of on-lookers, ages 0-99. 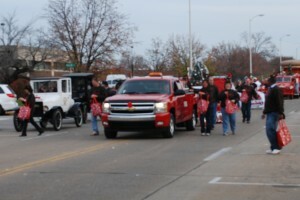 Employees, along with their families, designed, constructed and walked with the float in the festive holiday parade that officially starts the holiday season in Evansville, Indiana. You are currently browsing the J.H. 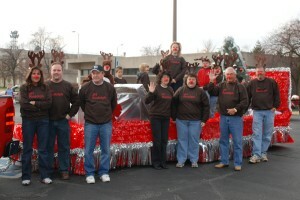 Rudolph and Co., Inc. blog archives for December, 2009.